Tomorrow is the day that everyone in the Search Engine Marketing realm has been waiting for. Or was it dreading? Either way, if you don’t already know – tomorrow marks the day that Google changes it’s algorithm to give a bit of a nudge (some say a rather large nudge) to websites that are mobile ready. As site owners, here are some last minute things you can do to get ready. 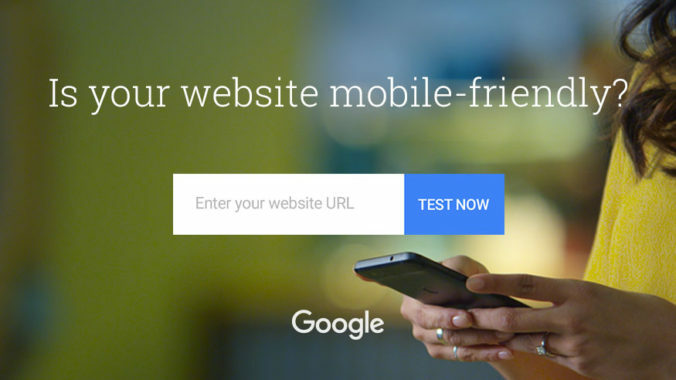 Visit the Google Mobile Testing Tool – While this is not a tool to check if your site will be listed in Google, it is a very accurate resource to test your site’s mobile response. Notice I said “response” and not just responsiveness. This is because there is not clear indication that responsive sites are given more of a boost that those that are mobile by other means. Google has shown that they stand by responsive coding as the right way to serve lean mobile, but again – no indication of more weight give to a site that is served mobile in pure jQuery for instance. If you have a CMS such as Joomla, Drupal, or a blogging platform like WordPress – their frameworks support mobile plugins and/or mobile components and views. While they do not always spit out the results you would like visually, they do take your website data and put it into mobile markup that Google (and other engines) can understand. This could be a great way to still provide your content while working on a responsive layout for your current website. If you find yourself stuck or just need an expert webmaster to help get your site mobile ready – contact us. We’d love to help get your website mobile ready!